The percentage of consumers making purchases online has officially outpaced those who don’t. But what does this mean for brands? Once tethered largely to wholesale and resale, the door has been opened for brands to try a variety of selling options. And they are. 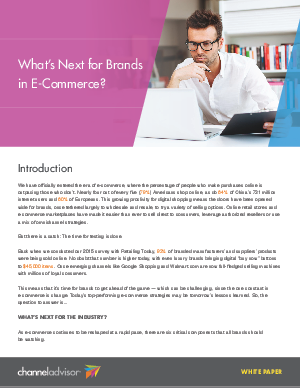 The time is now for brands to step into the e-commerce game and figure out the best approach for them.